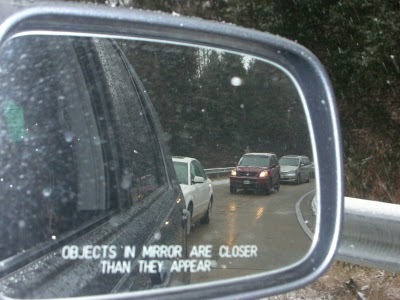 Perception, in my opinion, was a great course to take. We do not often wonder how we see things the way we do, hear things the way we do, and so on. We often take our senses for granted, and the process of perseption itself for granted. I think this is a good course that every psychology major should take just to learn where it all starts, because everything starts with the five senses. For example, we do not become frightened unless we see something scary or hear a loud noise. How perceive things leads to the discussion of how we emotionally feel about things. As for the book, I thought the layout was good, starting and ending with one of the senses before moving on to the next. Though it was confusing for me since I am not real big on science, I was able to understand the general concepts, and eventually with enough effort, things started to click. My favorite part of the course would have to be when we read chapter 5 - Perceiving Objects and Scenes. Firstly, this chapter incorporates the laws of Gestalt Psychology which have always interested me. "The whole is different from the sum of its parts". 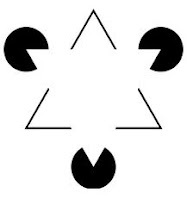 This statement, which is also the basis of Gestalt Psychology, explains visual illusions. 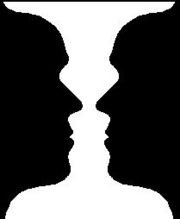 I have always loved figuring out those pictures that can be seen as two diiferent things, such as the figure above which is either a vase or two faces facing each other. Overall I thought this was a great course and would recommend it to any psychology major. I never really thought of it that way "everything starts with five senses". That's deep! LOL. Without our senses, we'd have no feeling about anything, we'd be kind of useless.